Serving Louisiana's court reporting needs since 1989, our team of experienced and professional court reporters will help with all of your deposition, transcript, or other court reporting needs. Louisiana Court Reporters For . . .
Below are the main areas we serve. Just contact us if you do not see an area where you need a court reporter. Why Choose Treva Maricle Court Reporting? SKILL, EXPERIENCE, PROFESSIONALISM, ETHICS, INTEGRITY, PRIDE, RELIABILITY, AND DEDICATION TO CUSTOMER SATISFACTION. YOUR WORK DEMANDS IT, AND WE DELIVER! 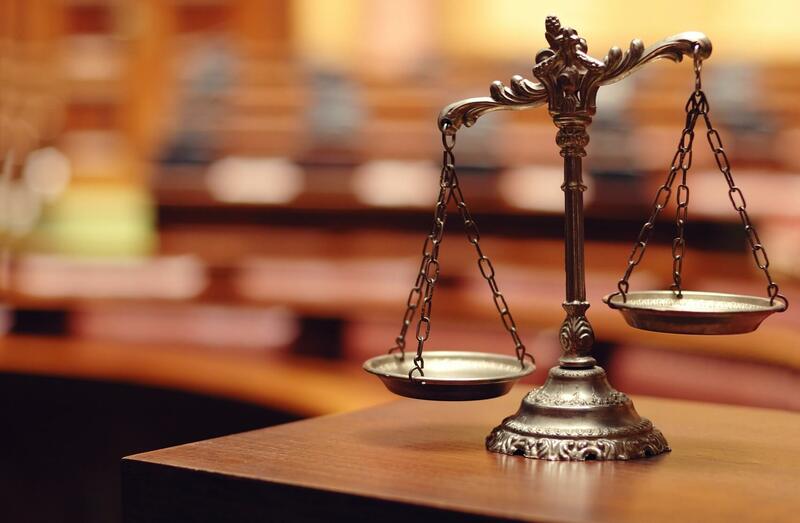 Treva Maricle Court Reporting is a court reporting firm large enough to meet the needs of any fast-paced law office in Louisiana, yet we are small enough to deliver accuracy and professionalism on a personal level. Should any emergencies arise, we are available 24 hours a day to assist you. We have an excellent staff of experienced and certified court reporters, many whom are recognized by the National Court Reporters Association and the National Verbatim Reporters Association for developing skills above and beyond state requirements. Our reporting services are competitively priced. We have been active in the Verbatim Reporters of Louisiana state court reporter organization, with Treva Maricle, our founder and president, serving on the organization's board for several years. 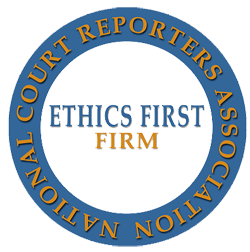 Treva Maricle Court Reporting is a supporter of Ethics First, a program to educate the legal community on the importance of court reporters remaining totally unbiased in their work as Guardians of the Record. Click here for more information on the NCRA Ethics First program [PDF]. Since 1986, we have been a full-service Louisiana court reporting agency with a professional track record of accuracy and dependability - with the added personal touch that makes all the difference. Copyright © 1998 - All rights reserved. Treva Maricle Court Reporting.